P earl necklace from Schuhmacher with painted red heart pendant. The classic traditional necklace with pearls from our online shop is a real eye-catcher. 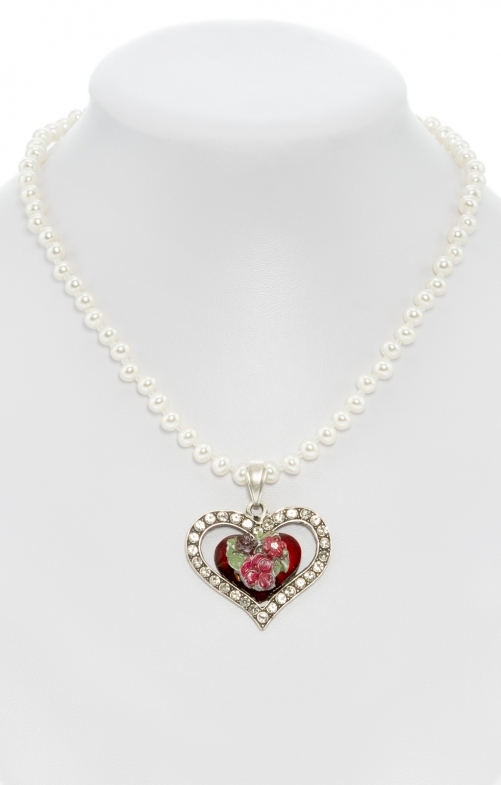 The combination of white pearls and red-painted heart with flower pattern is ideal for parties and celebrations. The pendant sparkles through the crystal- occupied heart frame. The necklace is nickel free and adjustable in length.